Hello 2018…and a lot to look forward this year in the league of ‘ Web Applications ’. Saying that let me place the top WEB APPLICATIONS that created an uproar in the year 2017. 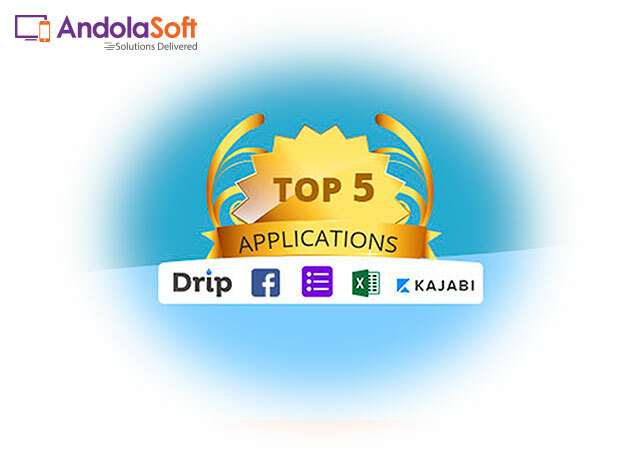 As you go on reading this article more you would find the web applications that made an impression on users and why they became the best out of the crowd. Let’s dig into the details…. 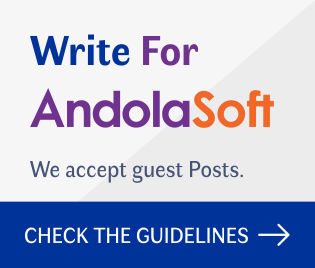 Different web applications rule different domains in the working culture. Some are best for everyday tasks while others are specifically designed to deliver productive field results. 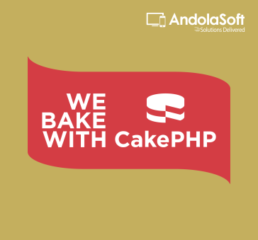 Most of us look forward to using applications that can help us enhance our business outcomes, perform our jobs better and organize the whole setup in a much better way. And this is why knowing the top applications that are tendering the best results is deemed necessary by the professionals all around. You wouldn’t want to miss out on a chance of improving your working status and performance, right? One must always have knowledge about which apps are at what rank in order to have a convenient life because in today’s era we are so much dependent on social media apps that half of our life depends on them. So here we present some apps that buzzed the world in 2017 and you can confidently use them in 2018 as well. Are you looking for an app that will make you a better marketer with in no time and very less effort? 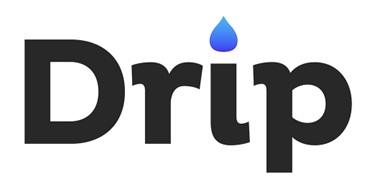 The Drip app helps you to develop better relations with your customers by enabling you to send customized emails. One of the coolest things about them is their unbelievable deliverability rate and expert service. Another secret of their success is their tracking capabilities with which you can know your customers better and satisfy them easily. If you want to ace you career in marketing, try this app and discover the various options. Social media networks were on a roll this year. Not only did they increase their number of users but also got their name carved in the success stories. 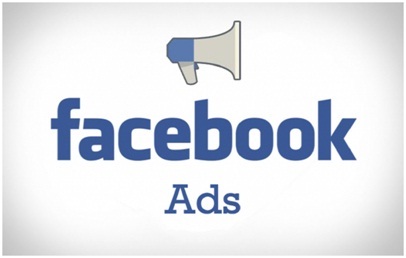 The Facebook ads web application is another useful app that multiple marketing companies and others all around the world keep in their top priority app list. And also, as Facebook got combined with a number of apps like Whats App and Instagram this year, the news widely expanded the circle of publicity. Now, the platform will look forward to enhancing its techniques and offer mind-blowing marketing and publicity features in the coming future. If we calls google forms a miracle or a blessing that won’t be wrong at all. It deserves all the fame that it earned in 2017 because the uncountable number of tasks that it performed is worth all the fame. The Google form app service is the perfect way to get opinions of the populace via questionnaires and surveys. You can create your custom forms and distribute the link online to get the worthy view of the best professionals in your field. 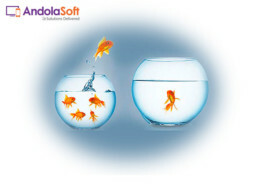 A custom web application development company is often find making use of such web applications. The app also gives you access to the raw data and allows you to analyze it with Google sheets and, the good news is that it will continue to provide its wonderful services in 2018 as well. Microsoft excel online is another blessing of internet lords out there. It has countless benefits and provides a number of facilities free of cost. One can easily collaborate and get a free version of Microsoft excel within no time and get a number of benefits like using spreadsheets, making documents, presentations, customized work and much more. If you need to prepare any official or important document, spreadsheet or presentation in 2018 you can easily rely on Microsoft excel online without wasting anytime in thinking what to do. The last web application that we have on our brief list is Kajabi. It is one of the wonderful apps that gained a lot of fame in the world of internet in 2017 and offers an amazing set of features. It has all those tools that you need to sell and create your own online course. It provides you a number of facilities like giving you a complete customized design for your website, a complete set up of your products, automation of your marketing highlights and uploading your content easily. You can in fact grow your own entire blog with the help of Kajabi. It also gives you ease if you want to build an online course and benefit a number of people with it. This app has done wonders in 2017 and we expect the same surprising results in 2018 as well. If you wish to own and run a great online course on any topic of interest, this app is definitely worth a shot! The enormously huge number of web applications developed every day puts us in a pickle and one thing is for sure, while doing our jobs, we can’t take any chances, right? This is why knowing about the top applications is necessary to maximize the benefit gained and efficiency improved by its use. The top five are listed above for you. Get your hands on them and discover more! So you have an idea to make it big this year! – I am sure you do. 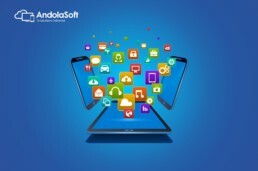 As a web and mobile app development company, we can help you to plan, formulate, design and build the application or software you intend to offer to your target audiences / users. Connect with us for a free 15mins consultation. Junaid is a digital marketing specialist who has helped several businesses gain traffic, outperform competition and generate profitable leads. His current ventures include magentodevelopers.online, Elephantation, eLabelz, Smart Leads.ae, Progos Tech and eCig.